These plastic tongs provide no-touch dispensing for large bulk bins. You get a pair of tongs with a holster to dock them when not in use. Also included is a coil to prevent misplacement. 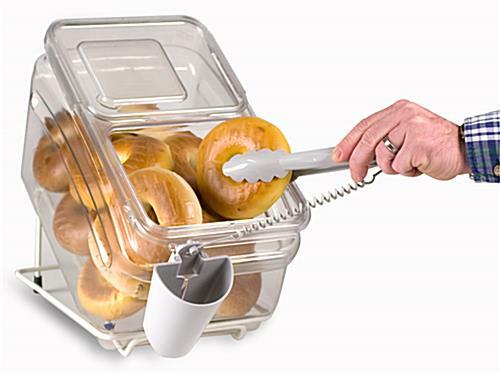 The plastic tongs with holster snap onto the bin front. 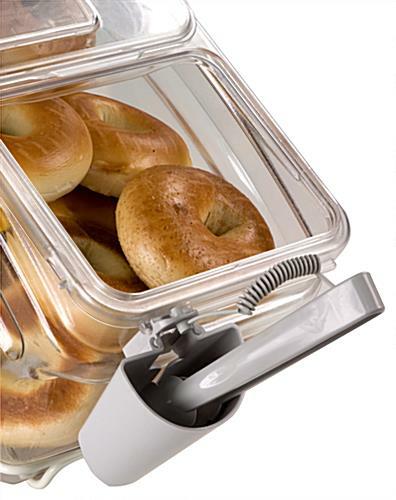 Suitable for selecting larger items such as bagels, rolls, and muffins.